Welcome back to another week of Friday's Furniture Fix! 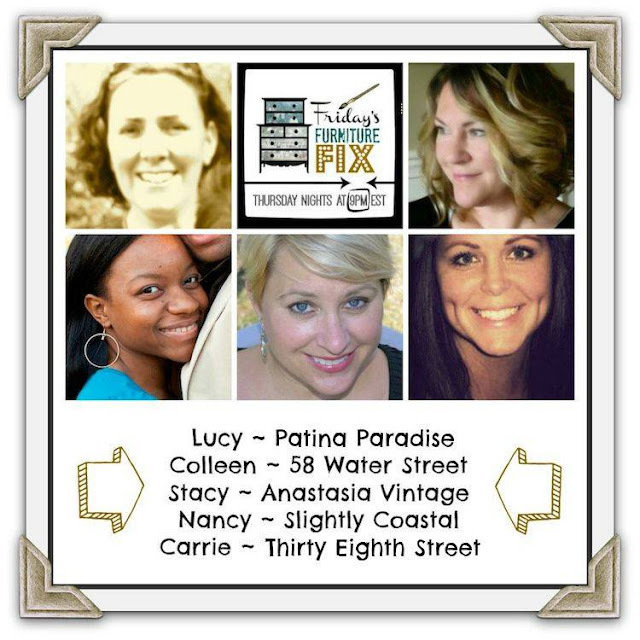 Thank you to everyone who shared your projects with us, even on one of the busiest weekends of the year. It was definitely a busy weekend for me. My husband's birthday falls on Labor Day weekend every year, and this was his 40th. I planned a surprise party for him, and I'd say it was 30% successful. It was 100% fun, we had a wonderful time with friends. But he played master sleuth, and figured out the surprise ahead of time. He was surprised to walk into the house and see a good friend from out-of-state, so I will claim that small victory. 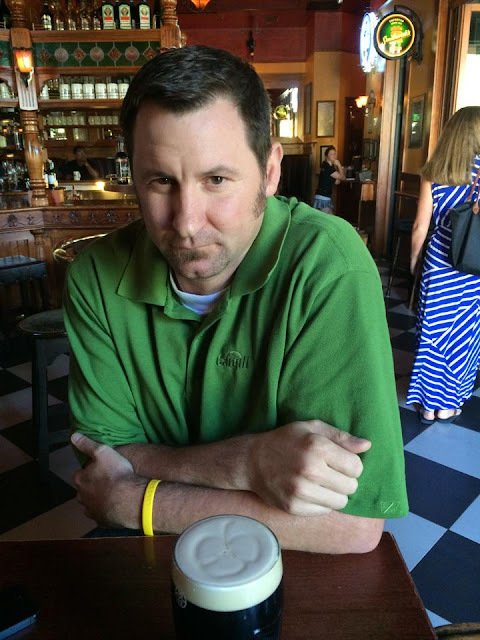 Happy birthday to this guy, who is officially in the 40+ club! 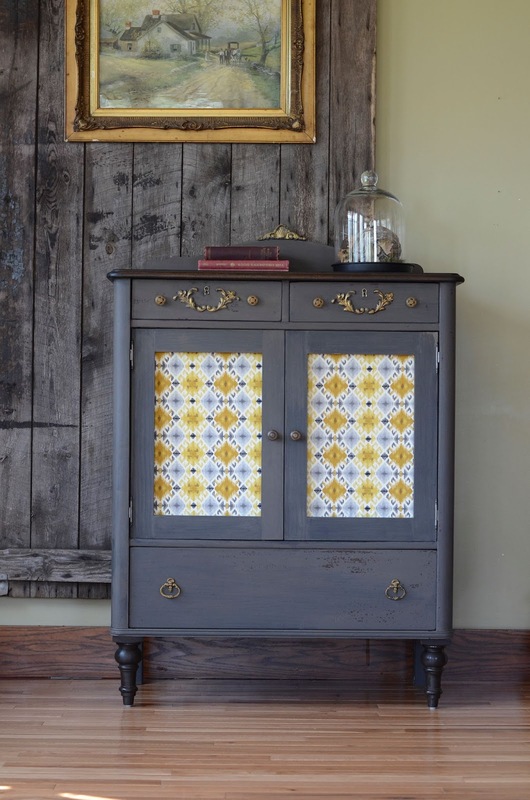 I fell in love with this cabinet from Queen Patina, and boy do her feelings about furniture and creative goals resonate with me. Lucy from Patina Paradise selected this beautiful turquoise dresser from Orphans With Makeup. 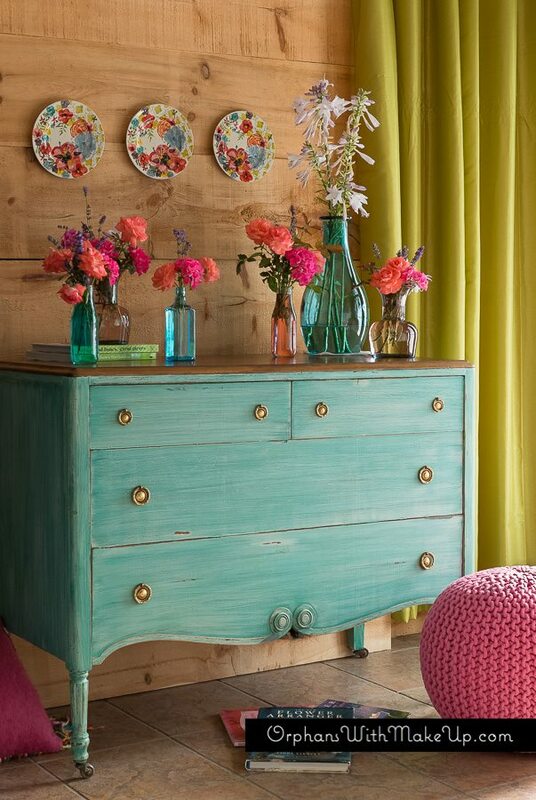 The lime green curtains and pink flowers on top are perfect. 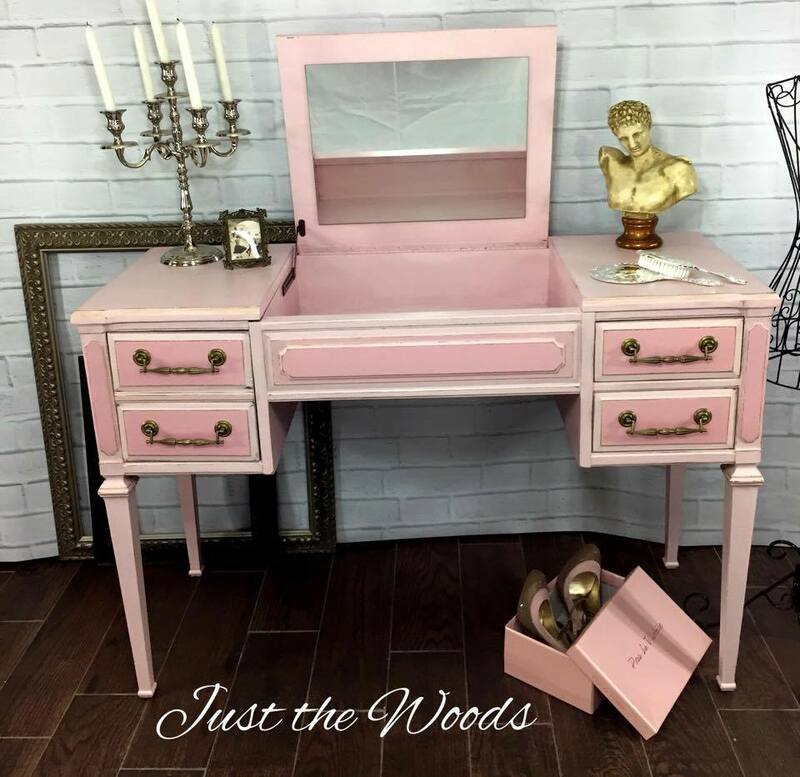 Stacy from Anastasia Vintage picked this pretty pink vanity created by Kandice at Just The Woods. 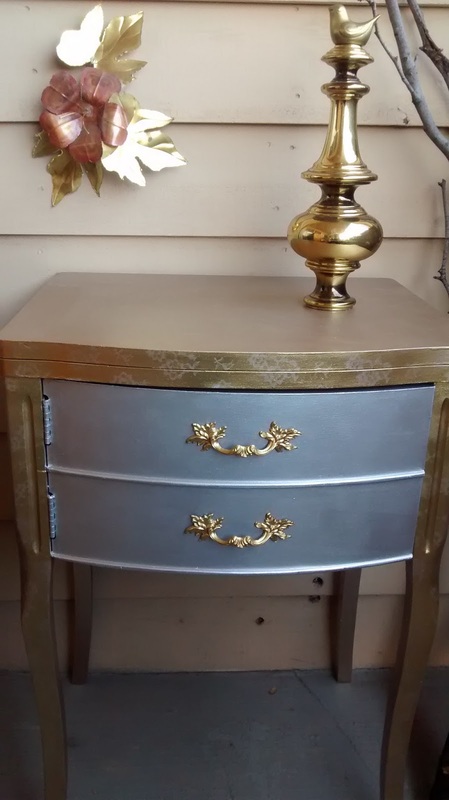 Nancy from Slightly Coastal selected this metallic sewing table by Fabiola at Fabi Fabu. Carrie from Thirty Eighth Street picked this simple table from In The Boondocks. 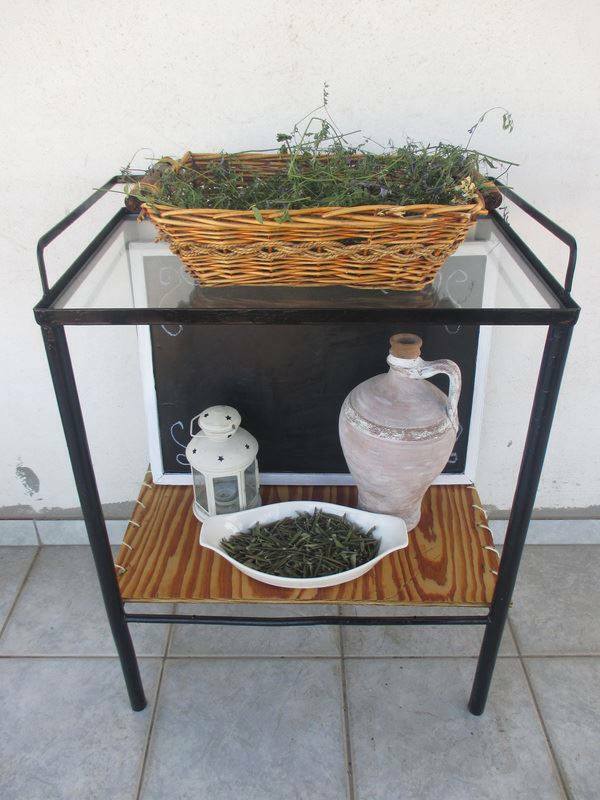 You must see the original in order to fully appreciate the finished product. I don't know if I would have seen the possibilities in that "before" but I'm so glad Mary went for it - what a save! 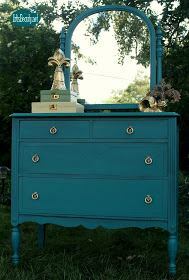 Finally, our most-clicked project was this vintage dresser updated in turquoise. I will never get tired of this beautiful color. Job well done by Karin at Art Is Beauty. And with that, it's time for another party to begin! Wow - the features just keep getting better and better - just gorgeous !